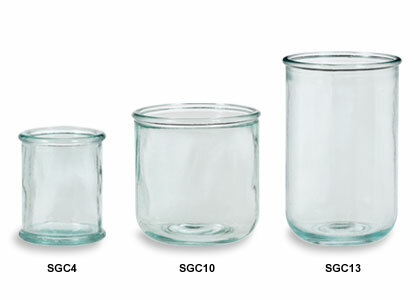 Our unique and charming Spanish glass candle jars are perfect for all your candle-making needs! The smooth, slightly aqua-tinted clear glass makes them a superb choice for poured or pillar candles. Each wholesale candle jar is made from 100% recycled glass and features a lipped rim, giving them an antique, slightly rustic look and feel. For other great candle container ideas, check out our tins and Mason jars.